THOMASVILLE, North Carolina (WGHP) -- Angie Allred wants justice for Tank. 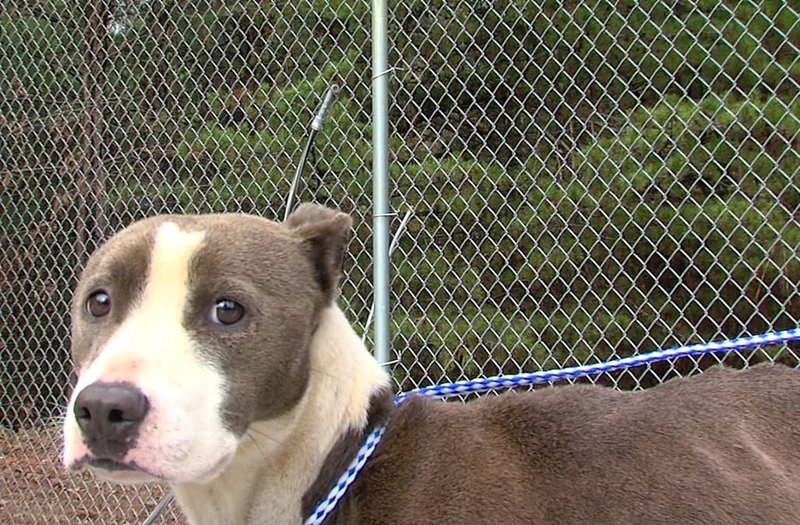 FOX8 first told you about Tank and two other dogs found at 818 Hargrave St. in Lexington last week. Investigators say they were all emaciated and starved. Tank was so hungry he started to eat his own tail and later had to be euthanized. "Things like this can't keep going unpunished," Allred said. Allred was devastated once she saw what happened to Tank. With pets of her own, she knew the dogs deserved better. "I cried off and on until the next day," Allred said. Allred said her tears turned into action. She made an online pettion called "Justice For Tank Davidson County NC." It already had a little 7,300 signatures in less than a week. Allred said this petition serves one purpose. "Absolutely, I do believe in the maximum sentence for this," Allred said. She wants Rayne and Wesley Stevenson, the couple charged with animal cruelty, to get the maximum punishment possible. That could be up to 39 months behind bars if found guilty, according to the district attorney's office. Allred said she hopes the DA's office will help set an example and address a serious problem in Davidson County. "I think if we had stiffer sentences for animal abuse, hopefully it will happen a lot less," Allred said.